Who says prom has to be stuffy and formal? Loosen up and rock out your look! The Betsey Johnson above is gorgeous, but pricey. I found a faux fab dress for only $98! 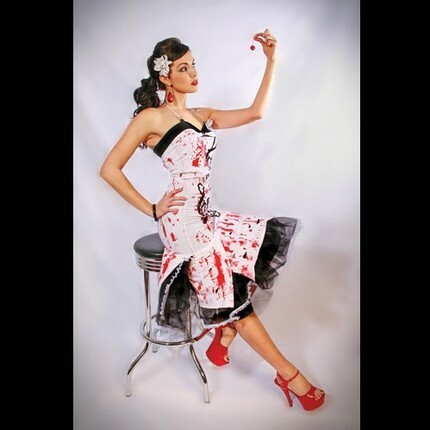 Here is a one of a kind handmade dress from Rockinbones. Or, if you are really bold, try this pink dress from Toxic Vision. To really make a statement, you could even wear this quirky dress from Glamarita. 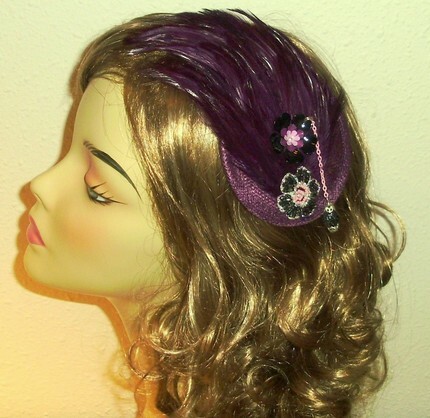 Hair accessories are another way to punk up your look. Check out the feather hair pieces by mtuent. 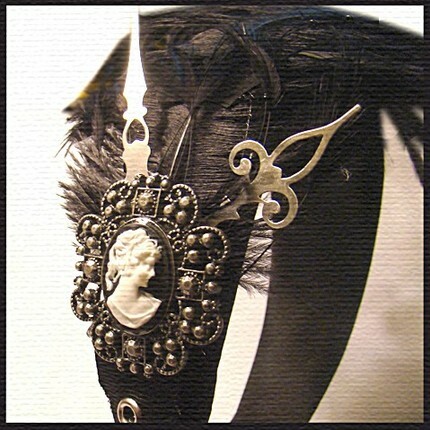 Or this steampunk headband from SteamSociety. Thanks to Carrie Bradshaw, shoes are another way to make a statement. These shoes by Pachainkapink will really set you apart from the Macy’s crowd. Are any of you ladies planning on punking out your look for prom? What ideas do you have? Yes I am using a wordpress platform for my blog. It really is quite simple to use and although knowing a bit of HTML helps, it is not required. i want the actual betsey johnson dress for my party. Do you know how i could go about ordering it?